Tea time calls for unique and interesting snacks but coming up with new ideas everyday is challenging. That’s especially true if you’re having guests over for tea. What if you could serve something new and delicious? 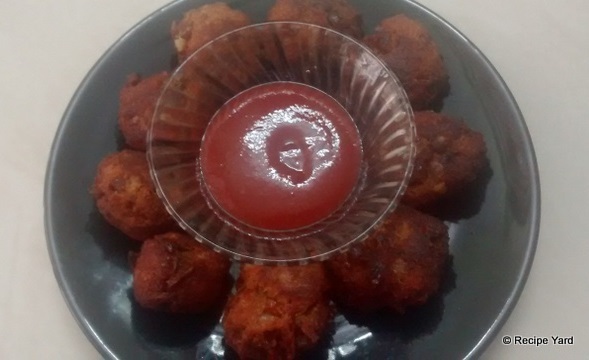 Here’s a recipe for Rajma Cutlets (Kidney Bean Cutlets) that’s easy and yields a crispy and tasty snack. Perfect to be served at parties or for at tea-time with family. In a large mixing bowl put the boiled rajma, chopped onion, green chili, coriander, salt, red chili powder and amchur. Soak the bread slices in water and then squeeze within your palms hard to drain out all water. Crumble the wet bread into the rajma mixture. Mash everything together to make a smooth mixture. Place a deep frying pan over medium-high heat and pour enough oil in it for deep frying. Meanwhile, shape the cutlets as desired. When the oil is hot enough, carefully slide the cutlets in and fry to a nice brown color on all sides. Transfer to a plate lined with paper towels to soak excess oil. Serve hot with tomato ketchup at tea.